When we arrived here at the event, we talked to the representatives at Constellation Brands. Their task really stuck out to us because as consumers we are looking for ways to interact with certain companies' products in our lives as well. This inspired us to try to come up with a really interactive way for a company to allow its customers to directly interface with them and their products. Our final project would be an immersive web-app that any customer can visit with ease. Bolstering opportunities for personalization, an avenue for feedback, and a way for the customer to learn more about the product, it would truly be a unique experience. 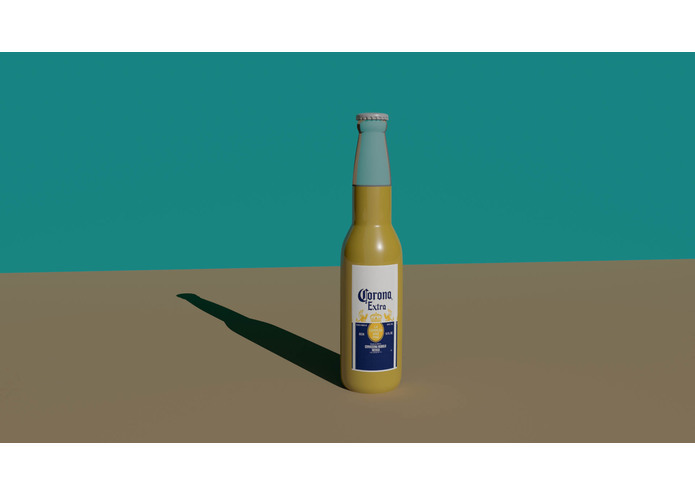 The site would combine augmented reality, realistic 3D models, and virtual assistant features similar to what was demoed during the Constellation Brands talk. This combination of features would allow the customer to interact with the product in new and interesting ways. As far as building the project, due to the limits of our experience we were only able to generate a few proofs of concept. Using Snapchat Lens Studio we were able to import a 3D model of the product that was created in Autodesk Maya and create a lens with it. This was to prove that the product could be brought onto a platform that is familiar to a large portion of the company's target audience. Additional features would utilize Amazon Sumerian, Unity, and more general programming for the rest of the website. When we first began executing the plan for the project, we realized that we may be slightly under-experienced in the programs and strategies that we were trying to utilize. In order to overcome this, we learned as much as we could about the programs we wanted to use, and for what we weren't able to build we elaborated upon the features so that someone with more expertise could bring them to life. Another challenge was the time constraint. There was so much that we wanted to be able to build in order to represent our idea as best as we could, however due to the time constraint we had to figure out what we could realistically learn and build within the time constraint. Starting with a completely clean slate, we were very proud in our ability to learn programs like Unity and the Lens Studio in order to properly convey our ideas. Not only did we learn some new software, we also developed our skills involved in solving a problem. We learned how important the engineering cycle was and how it helps the process. Additionally, the team learned how to collaborate with each other and properly communicate our ideas to each other. In the future, we hope that our ideas could be further developed and realized in a web-app to be used by the company's audience. We have many ideas for what can go into this customer experience and hope that it could help companies directly interact with their customers.